It’s no wonder a baby responds to movement. For nine months, they gently sway in mummies tummy, then we rock them in our arms and soothe them to sleep. 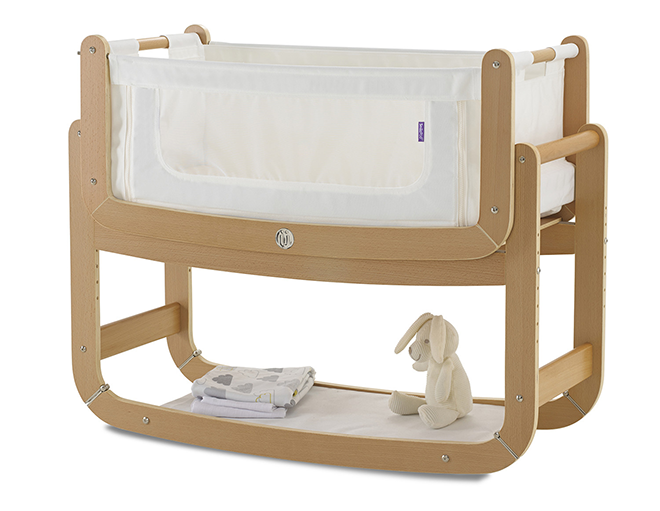 So with gentle movement playing such a big role in settling newborns, it makes sense to consider in a cradle. 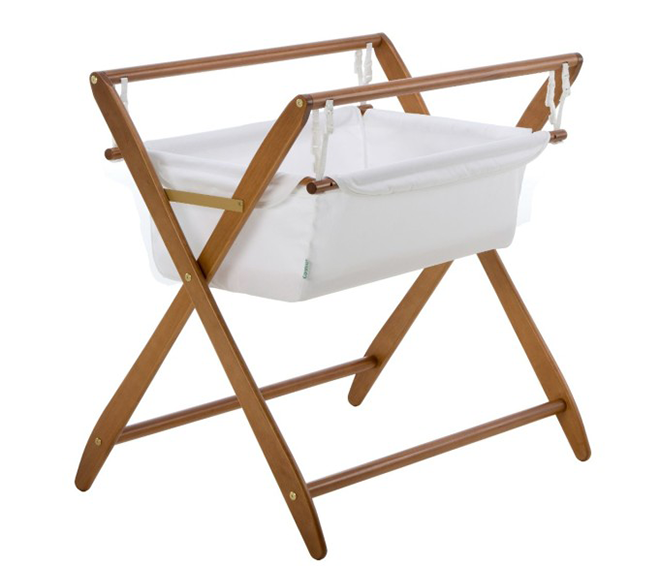 Unlike a bassinet, a cradle easily rocks or sways with a touch of your hand. And as they grow, some cradles turn baby’s own movements into a soothing swaying motion helping them drift off into the Land of Nod. For a little sleep inspiration, we’ve gathered our favourite designer cradles that rock babies to sleep. 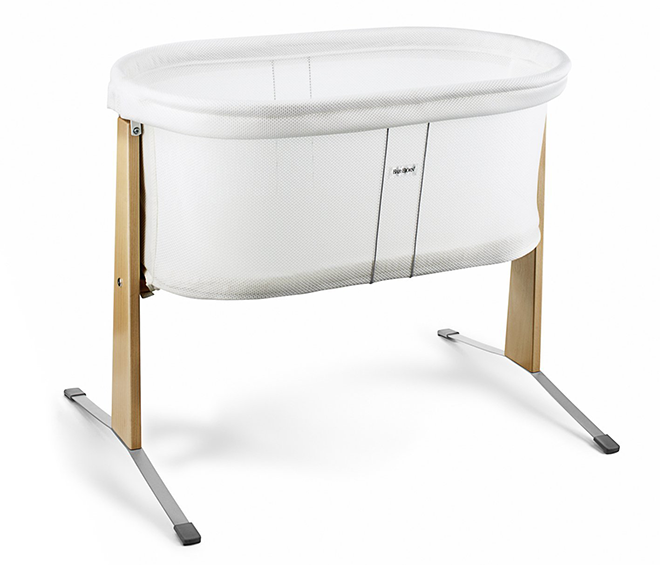 The Gentle Motions cradle ($389) from Cariboo was designed over 25 years ago and is still a popular choice with new parents. 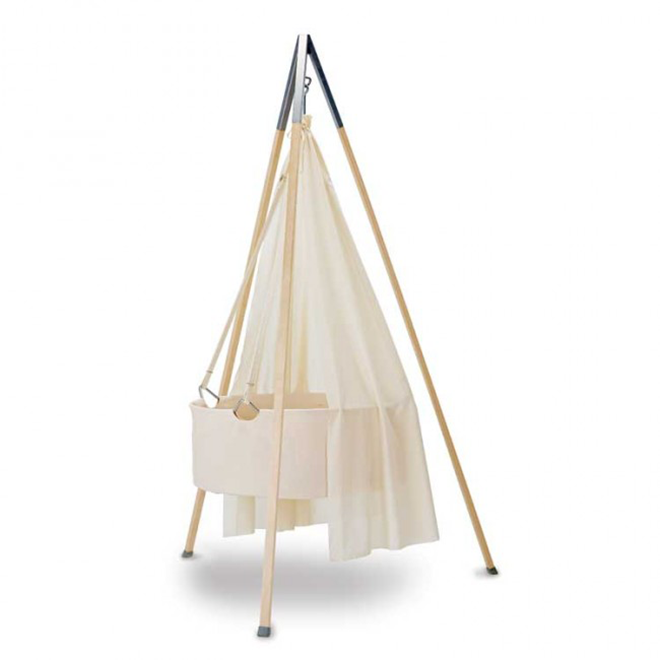 Lightweight, it easily transports to other rooms in the home. Then when baby transitions to a cot, it’s easily stored away for baby number two. 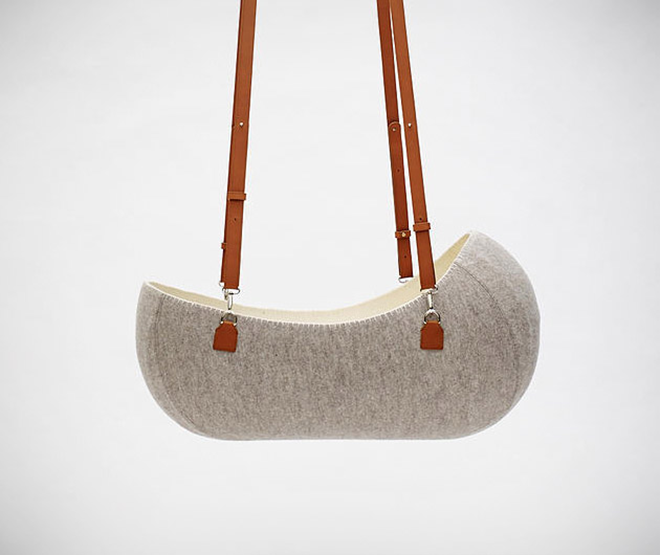 If you’re after something sleek and modern you may want to consider the Babybjorn Cradle ($399.95). Softly sprung movements lull your little one to sleep, whilst the transparent mesh fabric gives even the most nervous new mum (we’ve all been there!) reassurance that baby is sleeping safely. 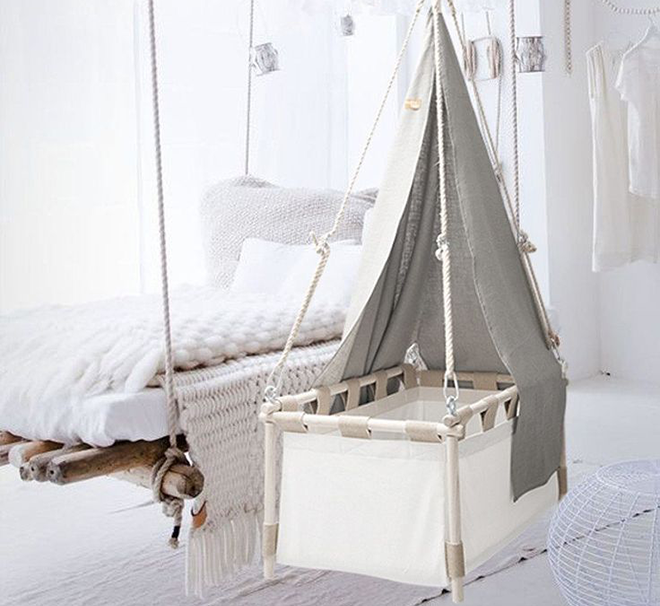 Sail away in sleep time slumber in Kaylula iconic YoYo cradle ($1199). The award-winning SnuzPod ($360) is a clever 3-in-1 design. It can attach to the side of your bed for co-sleeping (there is a nifty zip-down side for easy access to baby for feeding), use it as a stand alone crib or lift the bassinet from the rocking base and use it for daytime naps around the home or away. 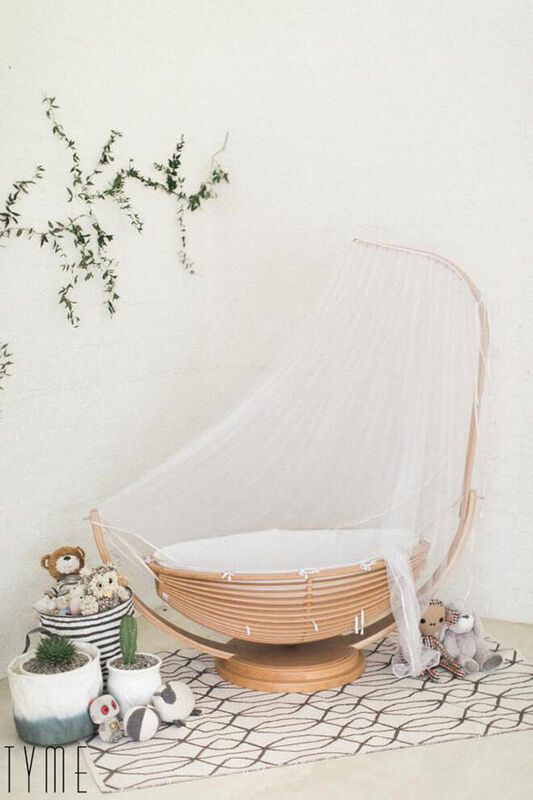 No list is complete without the Leander Cradle ($339.95). Beautiful to look at, suspend it from the ceiling or use the tripod. Either way, baby will gently sway into a relaxing slumber. 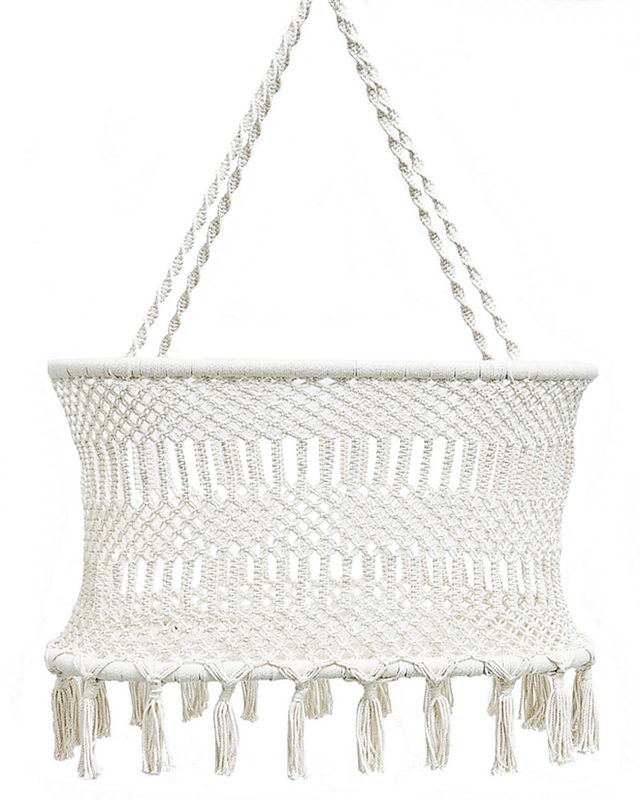 Relatively new to the cradle scene is this gorgeous Macrame Bassinet ($449). We’re loving its bohemian feel – a stunning choice, almost too beautiful to be hidden away in a bedroom. 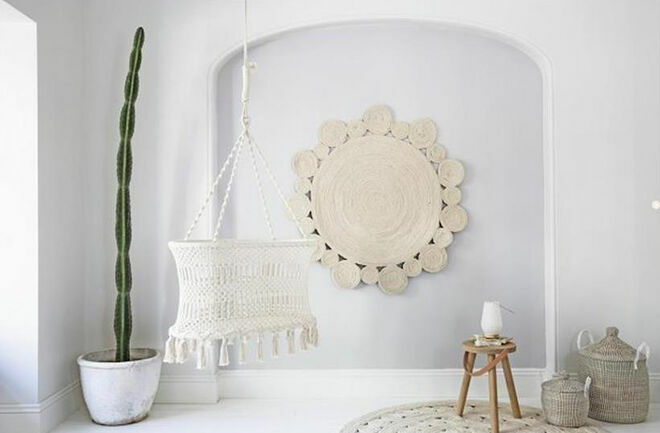 Beautifully simple the Hussh hanging cradle ($295) can be hung by spring or tripod, and is made from only natural materials including recycled wood, wool, organic cotton and even coconut-fibres! It also comes in a gorgeous twins version too. Made from felt, we can only imagine how snuggly and cozy the O-bjekt Design Little Nest cradle is (adult version please?). Gorgeous to look at, it does come with a cost and is the most expensive of our picks. Contact the Australian distributor for more details.